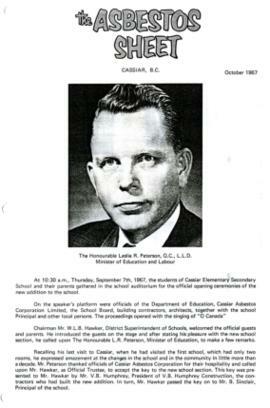 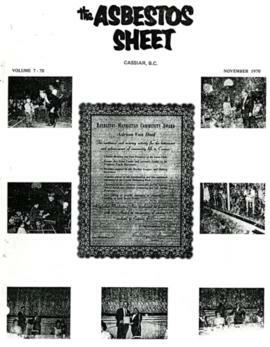 Municipalities, towns, villages, neighbourhoods, religious and cultural groups, camps, schools, etc. 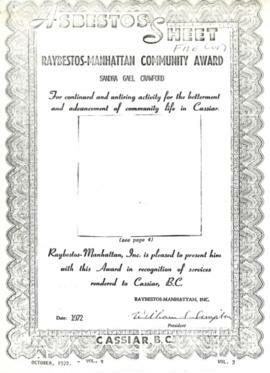 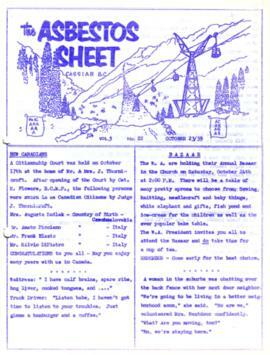 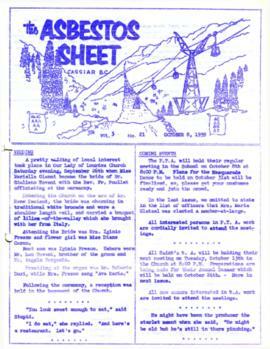 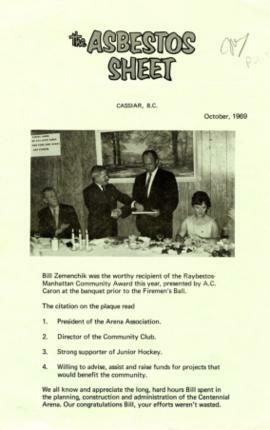 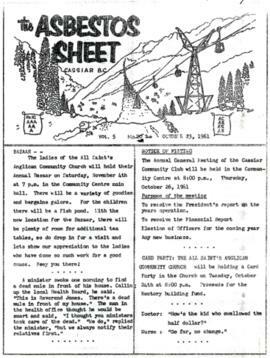 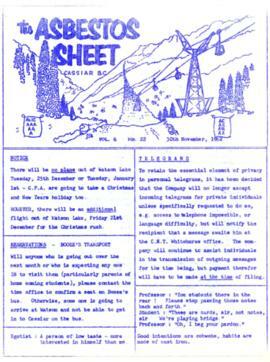 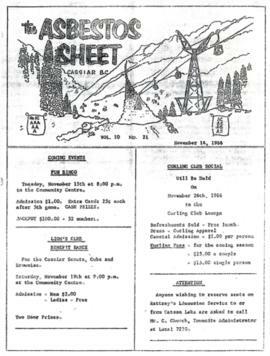 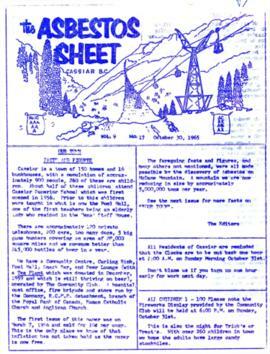 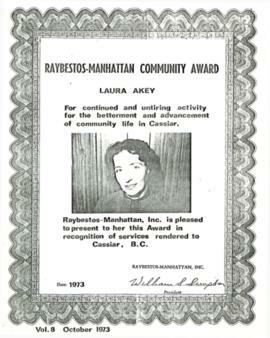 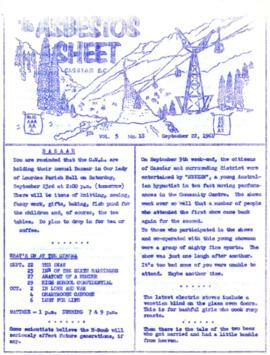 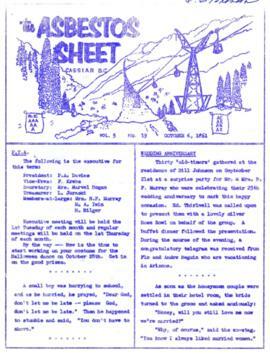 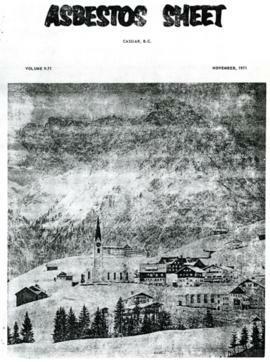 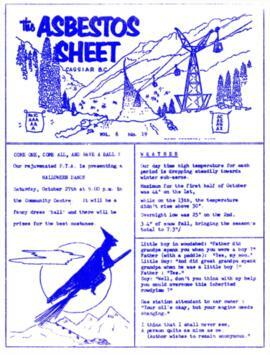 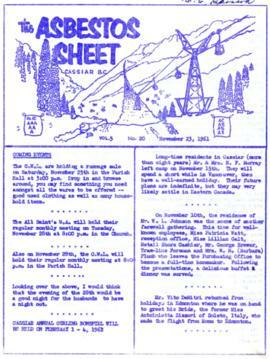 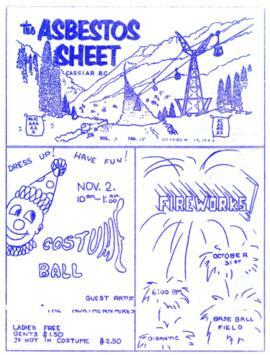 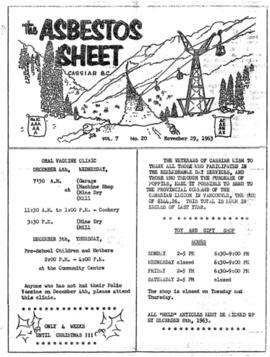 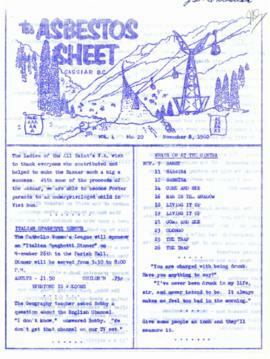 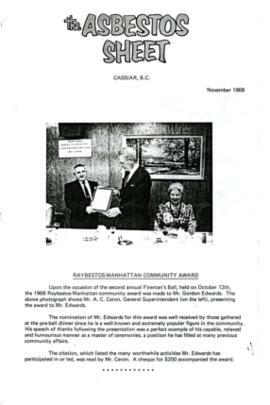 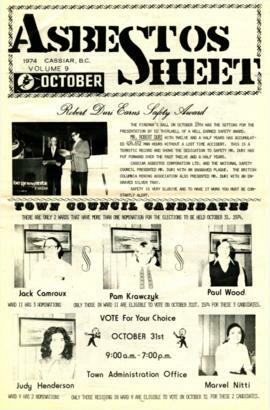 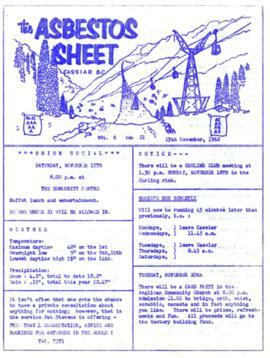 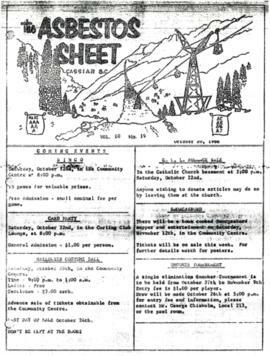 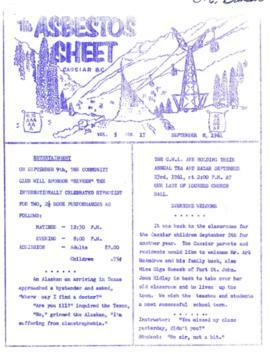 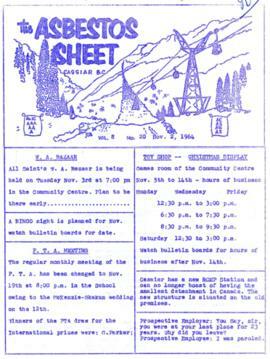 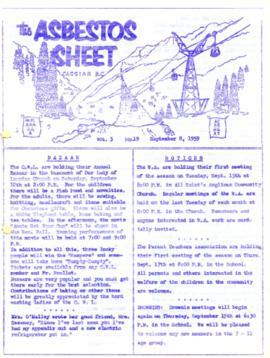 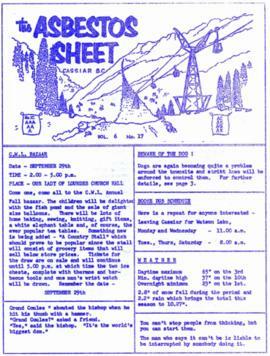 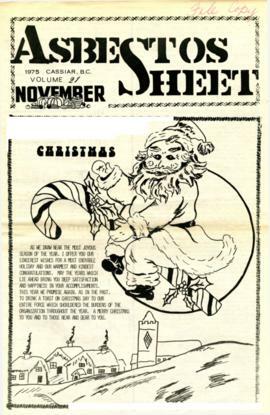 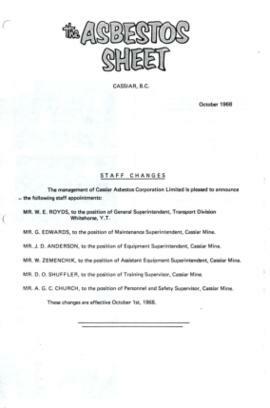 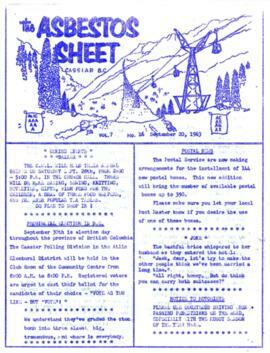 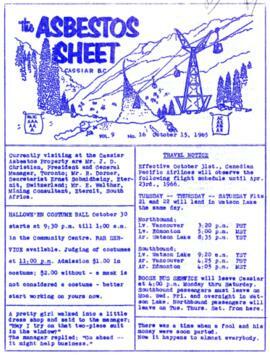 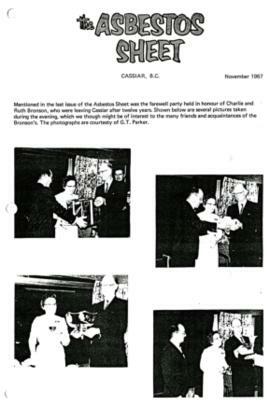 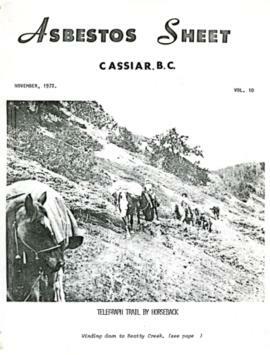 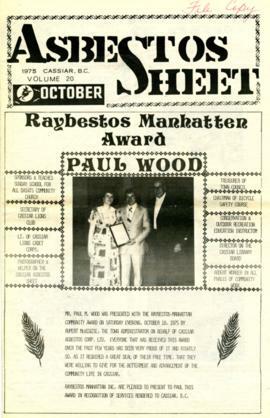 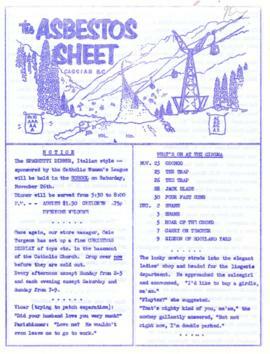 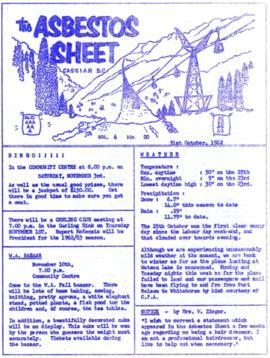 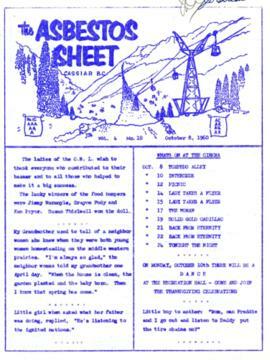 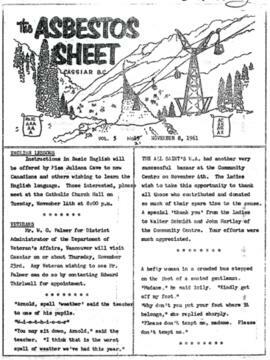 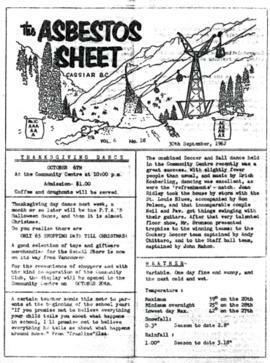 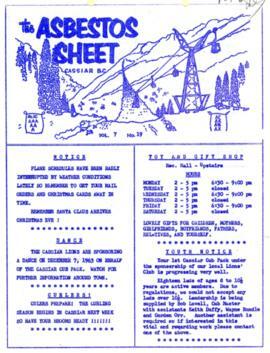 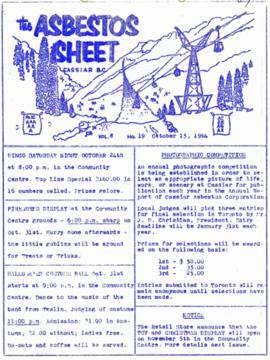 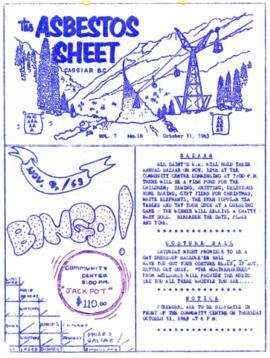 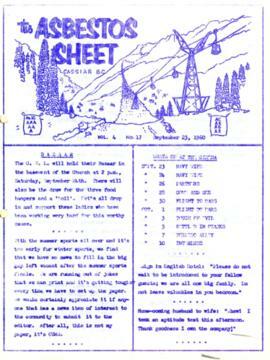 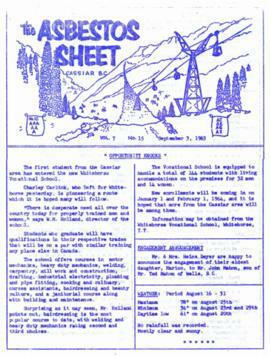 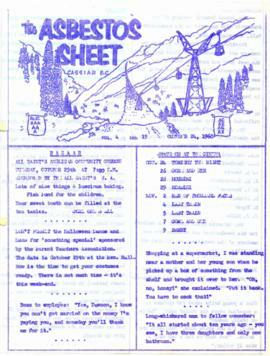 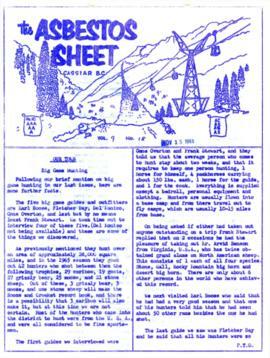 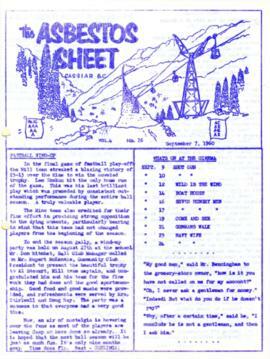 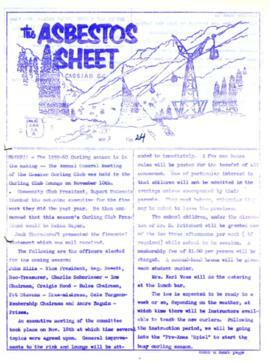 "The Asbestos Sheet" is a newspaper that documents the community and work life of the residents of Cassiar BC. 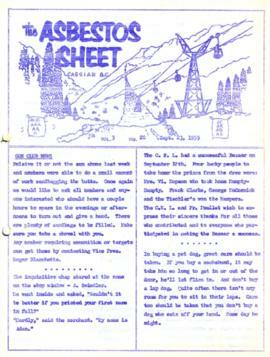 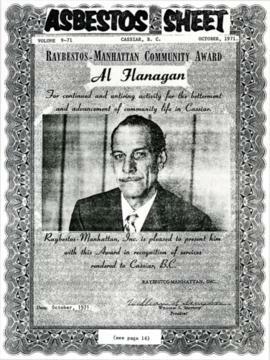 Content includes text and photographs, as well as jokes, comics, and games.